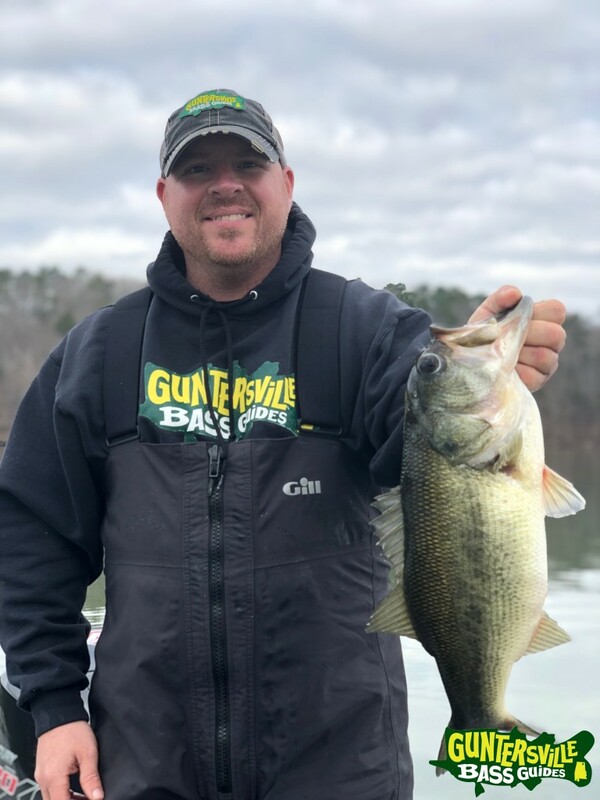 Professional Fishing Guides for Lake Guntersville in Alabama. 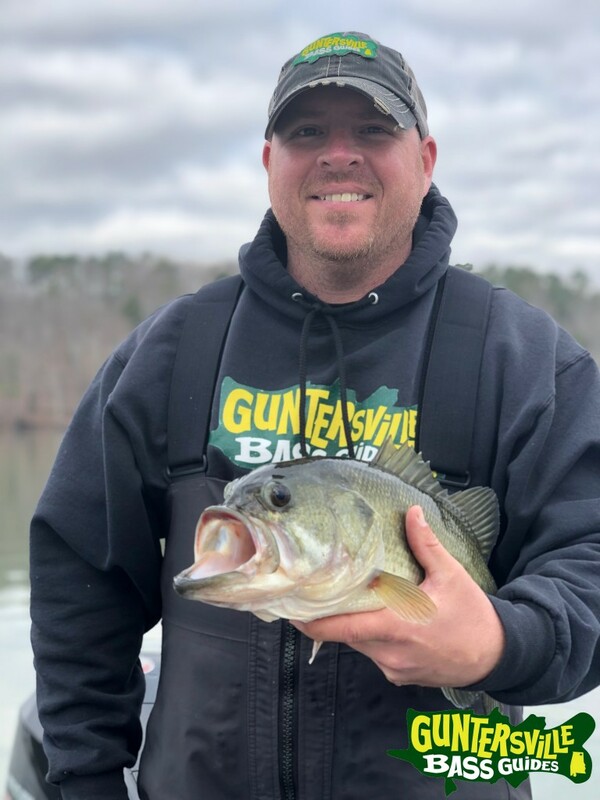 We fish out of a Phoenix Bass Boat with Duckett Rods n Reels We will utilize lasted in electronics by Lowrance And a host of tackle, all provided for you. Please feel free to bring you own gear if you are more comfortable doing so. . We also provide bottle water and ice. We are now offering Smallmouth trips! How about the weather this past week? Awesome Right!!!? Man has it changed the fishing... Did it warm up to quick? The fishing has slowed up, and the lake seems to be showing signs of spring time. Ive heard tree frogs daily, seen plenty of pelicans, and the geese are acting like crazy. Now the bass are acting funky. Maybe this cold snap will shape things up.. Heres the lake update. water temps 55-60 depending on where your at,, water clarity is perfect for this time of year, still plenty of floating grass. We have been fishing a lot of water for our bites, we have caught numbers one day then not so many on other days. Things are changing rapidly and for the folks that have your dates booked, I believe your gonna be in great shape, things are going to get really stupid here in a week and should continue till post spawn.